You can use this dual purpose cleaner for carpet, rug, and upholstery spotting. Formulated to remove a wide variety of both water and oil based soils. Fast acting, and low foaming, this traffic lane cleaner excels as a bonnet cleaning solution for carpets and rugs. Special penetrating agents and surfactants also act as an effective pre-spray solution for traffic lanes and other heavily soiled areas prior to extracting or rotary shampooing. Periodic spotting of water and oil based soils can also be done with this versatile product. Use as a booster in extraction or rotary cleaning solutions for industrial settings or other excessively soiled areas. **Please Note: This product contains no dye or additives and is safe for use on any carpet type, as it will not stain any surfaces. This is also the reason it has a solvent-like smell, as it has no added deodorizers. For a more comprehensive selection of our carpet cleaning chemicals, please check out our full lines of extractor carpet shampoos and bonnet scrubbing chemicals. For normal dirt & debris dilute solution 1:16 with water (8 oz of product / 1 gallon of water). For heavy soiling dilute solution 1:8 with water (16 oz of product / 1 gallon of water). Spray on carpet and dampen bonnet in solution. Buff carpet using rotary scrubber in overlapping patterns. Dilute solution 1:5 with water (25 oz of product / 1 gallon of water). Spray onto soiled areas, agitate with a clean carpet brush. Extract or shampoo carpet in normal manner. Dilute solution up to 1:8 with water (16 oz of product / 1 gallon of water). Spray or apply to spot/stain. Allow time to penetrate spot/stain. Blot spot/stain with clean white cloth until spot/stain is gone. 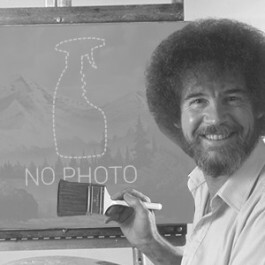 Repeat procedures until spot/stain is removed. Customers who were interested in the Trusted Clean 'TLC' Traffic Lane & Carpet Cleaner - 2 Gallons were also interested in the following items. As a long time bonnet scrubber, I've tried many products, looking for the best ever. I have found this product to be the very best I've ever used! 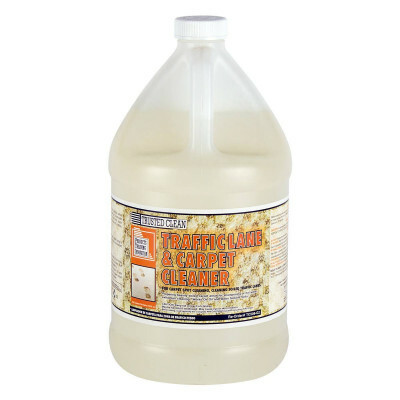 This is a review for the Trusted Clean 'TLC' Traffic Lane & Carpet Cleaner - 2 Gallons.